LUXURIOS CASHMERE FEEL: This Luxurios Soft Cashmere Feel Poncho Cardigan has been specially designed to provide you with the ultimate luxurios comfort.Made for practicality and to add style, you\'ll want to wear it everywhere! THROW-ON AND FALL IN-LOVE ! DIFFERENT LOOK : Size 90cm x 70cm . Wear it in 3 different ways to achieve a new style time and time again. Perfect accessory for wearing at work , office, day out or night out ! MADE TO LAST: Making our poncho capes stylish is our top priority but it isn\'t our only priority. 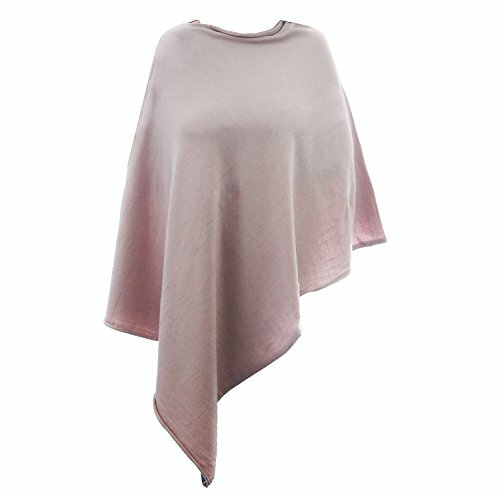 Crafted from super soft acrylic for a sumptuous and cashmere feel, our poncho shawl wrap, unlike other ponchos on the market have been made with double stiching to ensure durability for long term use.